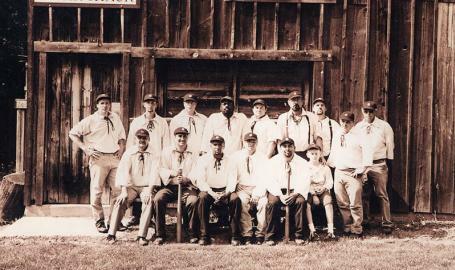 The Deep River Grinders vintage baseball team travels to Michigan, Ohio, Illinois and throughout Indiana playing their special game of vintage baseball. 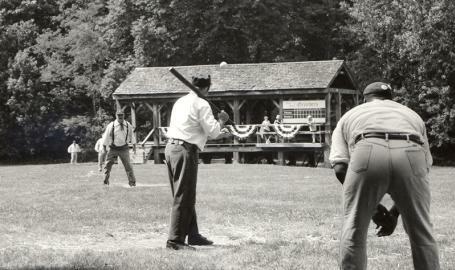 Other teams from around the Midwest meet the Grinders on their home field at Deep River County Park. What is so special about this game? It's the gentlemanly behavior of the players and the rules they play by. 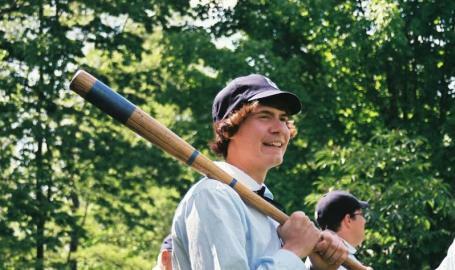 The men portray players of the mid-1800s, when courtesy prevailed on and off the playing field. There is no swearing, no spitting and no ungentlemanly behavior anywhere during the games. Rules written in 1858 govern the play. Cranks (the fans) can enjoy an ice cold sarsaparilla, the official drink of the Deep River Grinders, and indulge in a hot dog, both for sale at home games.